Today we share with you a survival map to end up with 16 zombie waves. 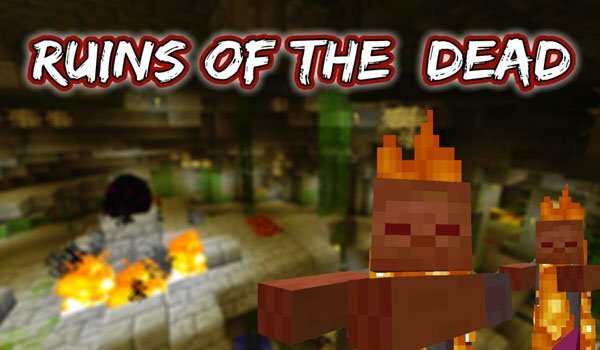 Its name is Ruins of the Dead Map 1.6.2. There is a legend that has been passed from generation to generation, which talks about an ancient underground temple, home of zombies. There are many brave adventurers who searched the temple, but none have returned alive. This map that leads to the temple zombie, you don’t remember why but you have it. So you decide to take the adventure into the ruins to kill the zombies that have been terrorizing your villagers for many years. How to install Ruins of the Dead Map for Minecraft 1.6.2? Paste folder “Ruins of the Dead” on “saves” folder. Kill the zombies that terrorize your people!